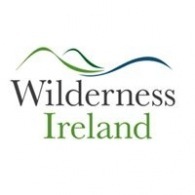 Average rating of 5.0 for all Wilderness Ireland trips. Enjoy the Walk Ireland’s most northernly peninsula and Star Wars filming location, Malin Head, where mountains meet sea. Enjoy guided hikes along the spectacular coastline trails of Southwest Ireland. Climb up the bare rock steps of the UNESCO World Heritage site Skellig Michael. See home of Christian monks, and now a filming location for Star Wars: Episode VII – The Force Awakens. Visit remote Gaeltacht (Irish speaking) islands, where each stone tells a story of its rich cultural past.